On my last weekend abroad, I traveled to Vienna with a couple of friends. Even though I was a bit travel-weary at this point in the semester, I just couldn’t pass up such a good deal (we found $50 roundtrip flights)! Besides, Austria was the 10th (!!) country I have had the opportunity to visit this semester, and it was satisfying to hit double digits on my country count. After a delayed flight, we arrived in Vienna late on Friday night. Since we were flying out on Sunday morning, we knew we had to make the most of our one full day in the city. And so, we spent all of Saturday exploring! We began the morning by grabbing apfelstrudel pastries and wandering around the Naschmarkt food market. Next, we visited the cathedral and famous Vienna Opera House. 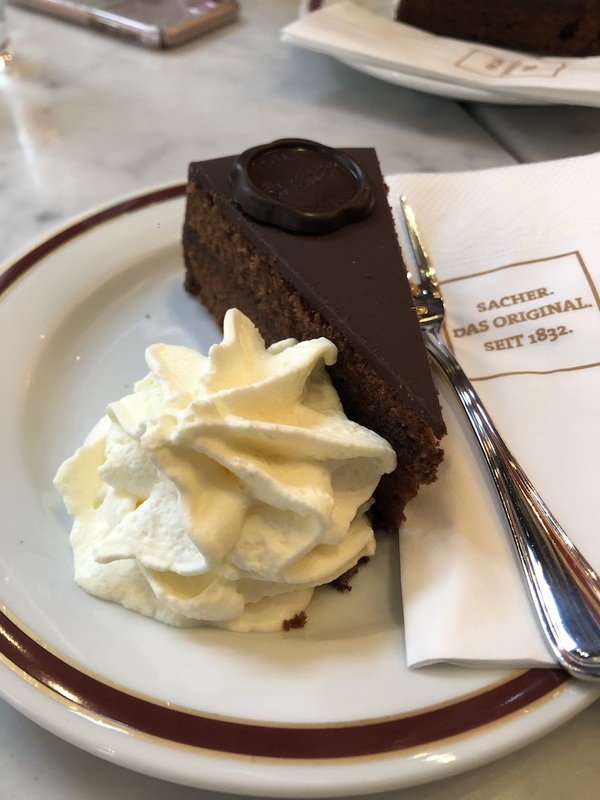 Though we had basically eaten dessert for breakfast, we couldn’t resist stopping at the Sacher Cafe to indulge in the famous Austrian dessert–the Sacher Torte. I don’t usually enjoy the combo of chocolate and fruit, but let me tell you, this cake is amazing. Who know that chocolate and apricot could be so delicious? After overdoing it on the sweets, we stopped for a quick lunch in one of the Christmas markets that we stumbled upon as we wandered the city. Although Copenhagen is known for having good Christmas markets, they simply cannot compare to the ones in Austria! These Christmas were massive and jam-packed with tourists and locals alike. 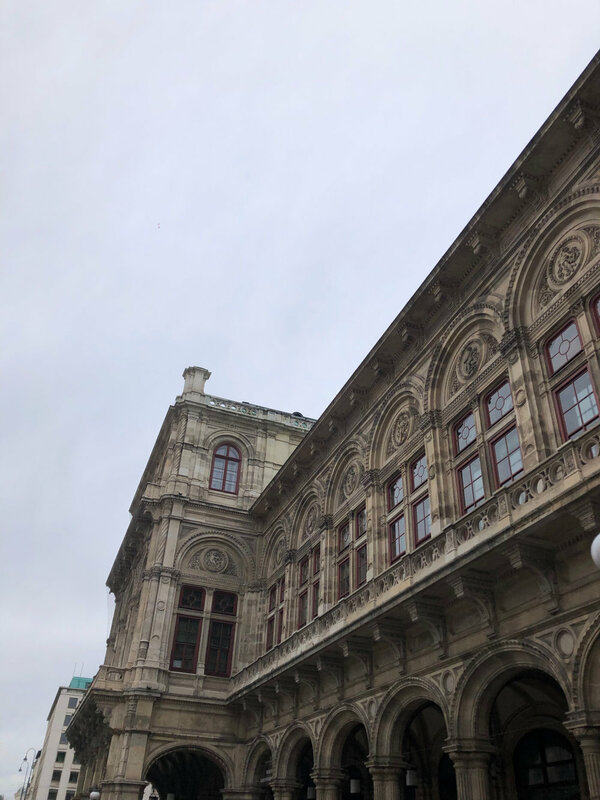 After poking around the crowded markets, we made our way to the Hofburg Palace and enjoyed wandering around the grand facade. Next, we took a 40 minute walk across town to visit the Prater amusement park to take a ride on the Wiener Riesenrad Ferris Wheel. From the top of the massive ferris wheel, we enjoyed a gorgeous view of Vienna at night.